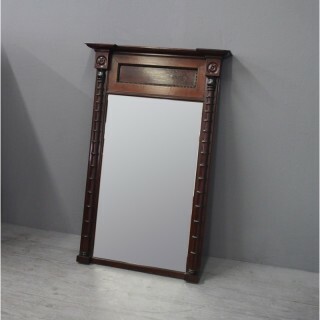 Circa 1830, Regency mahogany pier mirror. The moulded pediment is over a panelled frieze with beaded borders and is flanked by ring turned pilasters, surmounted by roundel decorated capitals. 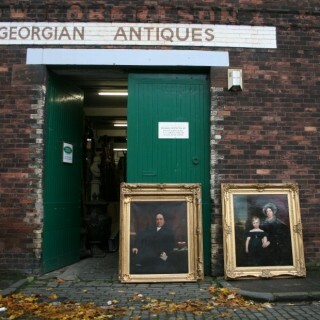 The original mirror plate is in good condition and the back of mirror has a handwritten inscription stating: “…one of a pair of mirrors removed from Kensington Palace”. Size 100 cm high x 65 cm wide x 10 cm deep.